The other day I wrote about fans in DC not taking the time to vote for their player in the same fanatical way that St. Louis Cardinals fans do. 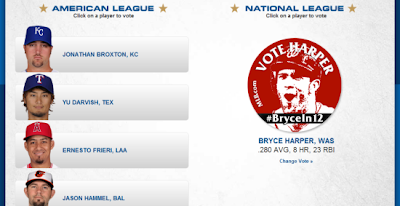 In that post I claimed to have voted for Bryce Harper myself a few times. Well, that was not true. I've never voted for Bryce Harper. So why did I tell everyone that I did? Yay! 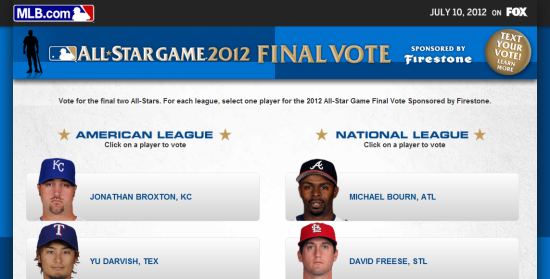 Bryce Harper is going to the All-Star game because I'm a great fan and I voted!!! Uh...not so fast...i may have missed a crucial step the 7 times that I thought I voted. 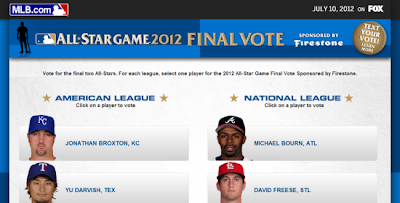 The voting closes tonight (Thursday, July 5th) at 4pm eastern time. 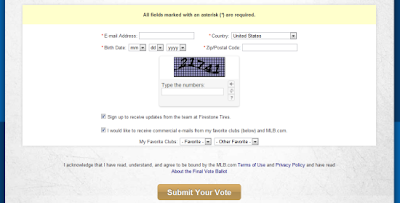 So do your duty as a Nats fan and take 30 minutes to fill out all this info, enter your social security number, and vote away!